iDrive is an awesome idea! 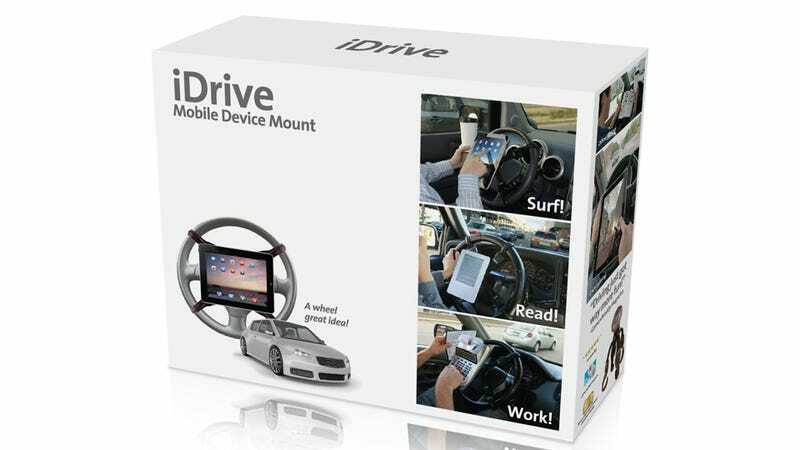 A steering wheel mount device for your iPad, you can use it to easily and comforably surf, read, watch movies and play Angry Birds while driving. It works with your Kindle too! What can go wrong? ToeTunes, slippers that are also speakers, hopefully with AirPlay support. One product that I wouldn't mind seeing in real life. Bathe & Brew, which would make coffee while you shower. One product that I must have.